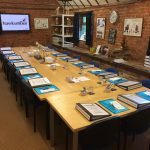 Hawksmoor believe CPD is an integral part of a Hydrotherapists role within the rehabilitation industry so therefore strives to offer affordable CPD to Hydrotherapy professionals. 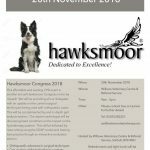 Hawksmoor Congress was designed to provide 8 hours of quality CPD delivered by Veterinary Referral Specialists, Veterinary professionals and other specialists within their own fields. Hawksmoor Congress is held at varying locations across the U.K incorporating new information regarding advances in veterinary medicine, new techniques and also practical sessions.